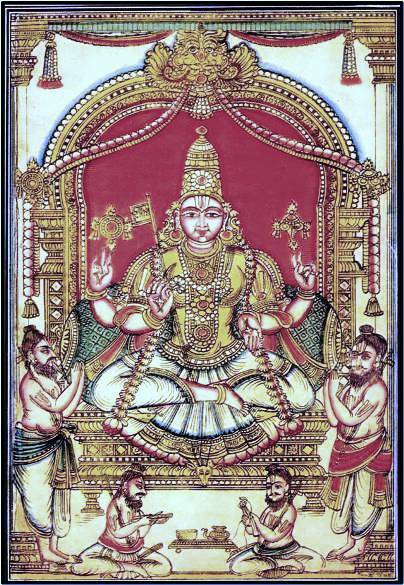 This site has been launched for anything related to the Vaikhanasa Aagamam. I will ensure that the documents posted this site have been vetted by Vaikhanasa aagama pundits before they are published. I am neither born from the Vaikhanasa lineage nor am I an authority on this subject. My informal education on Vaikhanasam started at a very young age. It began when I spent most of my childhood days in the Singapore Sri Srinivasa Perumal Temple. By seeing and listening to the numerous rituals and chanting carried out by the Archagars, I slowly developed the love for this aagamam and Sri Vikanasa Aachaariyan. This site was inaugurated on the 14th of March 2008 by Sri Srinivasa Perumal (Alangarapriyan). This day also marks the 48th day of the Mandalabishegam that was celebrated to commemorate the consecration of Sri Vikanasa Aachaariyan at my home. This homepage is humbly dedicated to all the Vaikhanasa Archagars whom I have know and interacted over the years. I would like to thank everyone of them!